Field Trip to "Of Mice and Men"
​Bre, Gavin, Aidan, Terry, Justin, Nick, Shannon, Peter. Front: Logan, Sierra, Maggie, Aidan. 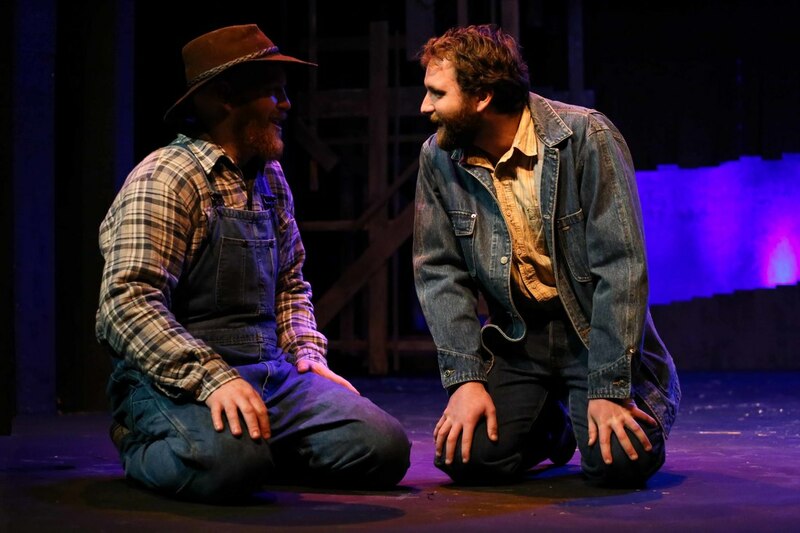 Last Thursday I had the theatrical opportunity to witness the play “Of Mice and Men” at the Tacoma Little Theater. The director opened the audience to a short question and answer session for the cast and crew after the play ended. 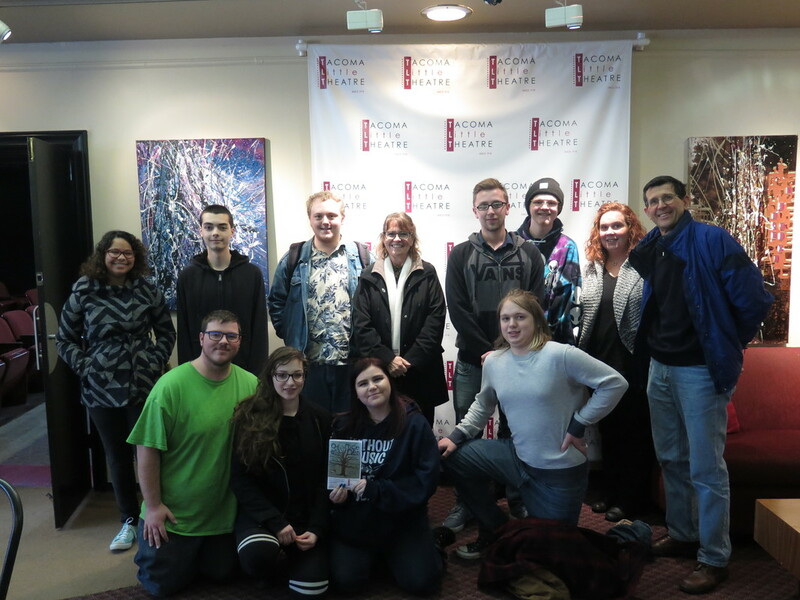 I mentioned to Chris Serface, the director of the play about our school’s newspaper and afterwards was emailed an immediate press photo release from him. 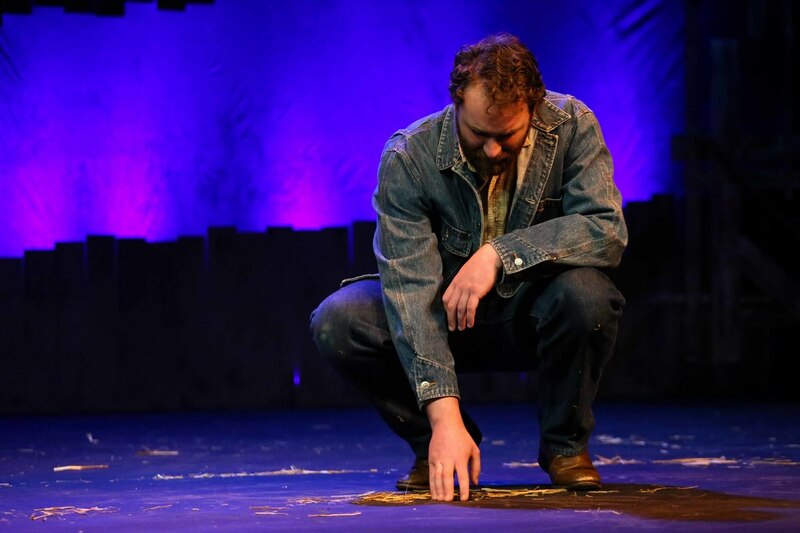 What really astonished me about the play was Curly, played by actor Derek Mesford. I have to give him and pros for transforming and turning his character into who in my opinion was a complete and total jerk but at the end during the question and answer session was just a normal, everyday person. My favorite memory of the field trip was a dog named Crystal who appeared in a few scenes. During the Q&A session, Crystal was walking down the aisle with her owner and put her head in my lap and was the sweetest yellow labrador ever! 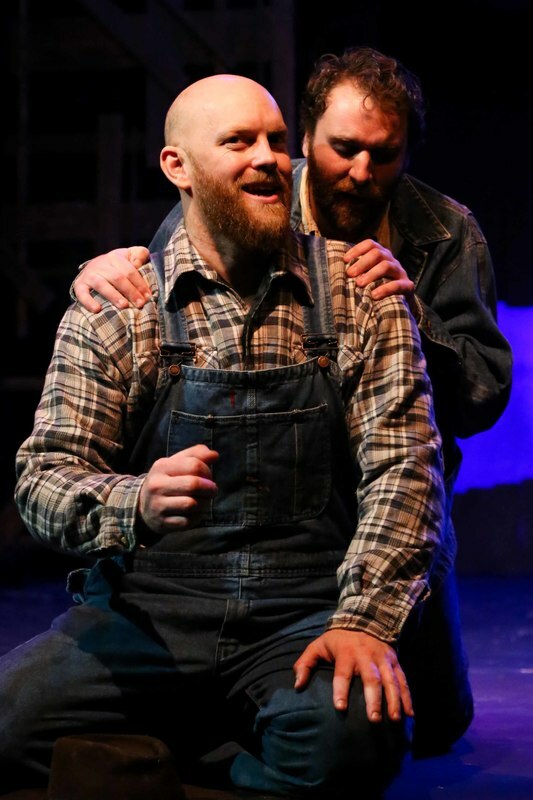 :) I also enjoyed seeing the storyline of the play as it spanned out, from Lennie’s worries about not being able to remember things and George having to console him of the fact that they would have a barn and be able to tend to roosters, chickens and rabbits and the stories George told Lennie.